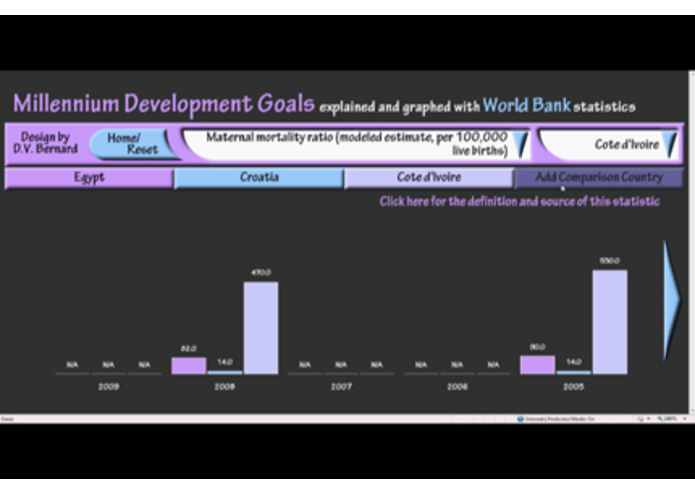 This is a totally online system that charts all the statistics in the World Bank's Millennium Development Goals (MDGs) dataset. 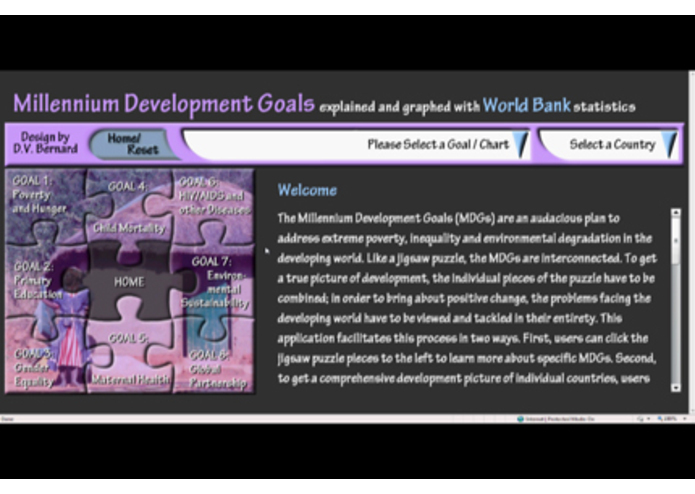 It also explains the MDGs in simple language. 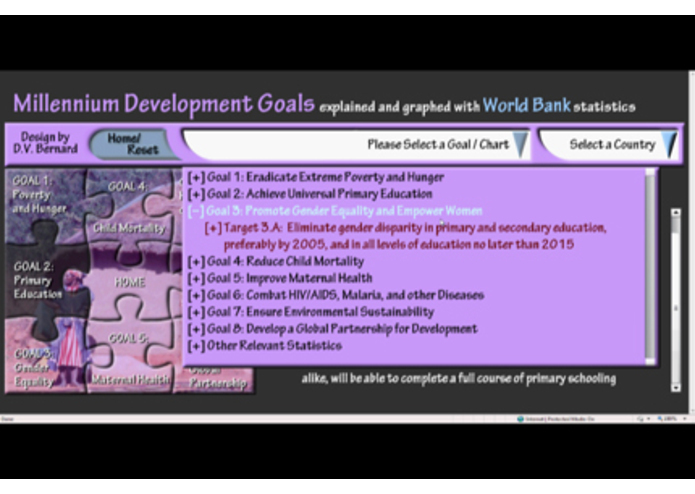 I got the idea for this app while using a World Bank dataset for a graduate school project. 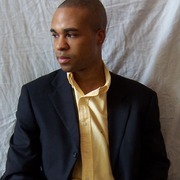 The dataset was a great resource, but took minutes to download. The tens of thousands of rows of data were also cumbersome to navigate (especially when you are only concerned with one country's data). Thousands of rows of data can also be overwhelming. So, this is an application that makes sense out of vast amounts of data by presenting it in chart form, online, in seconds. This application uses Adobe Flash as the frontend, creating charts in real time, from data on an external database. XML, PHP and an SQL database work behind the scenes, so that charts can be created with low bandwidth requirements. Indeed, all the components are custom made and designed so that even the slowest Internet connection can be used to access World Bank datasets. 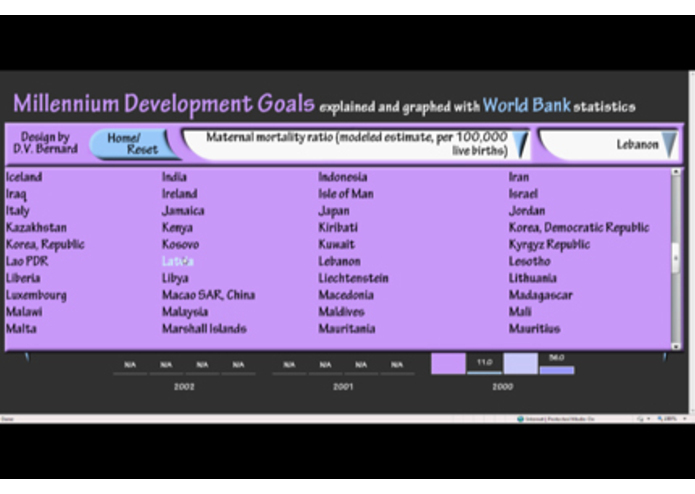 This should make it a great resource for development researchers and authorities everywhere.